We are pleased to share that Secretary-Designee Andrea Palm has confirmed she will be joining us at the 2019 Annual Public Health Conference on Thursday, May 23 as part of our Day 2 Opening Remarks. We are very pleased to welcome the Secretary to Wisconsin and the 2019 conference. 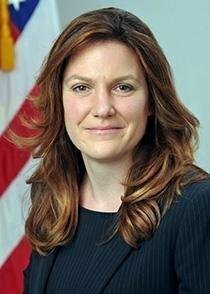 Andrea Palm most recently served as Senior Counselor to the Secretary of the U.S. Department of Health and Human Services (HHS) under President Obama, where she oversaw the public health and human services agencies, encompassing more than 60,000 staff. Her executive career spans more than two decades. She was a Senior Advisor at the White House Domestic Policy Council during the implementation and rollout of the Affordable Care Act. Click here to learn more. If you have not yet registered, don't worry there is still time! Visit the Annual Public Health Conference page on the WPHA website.Be sure to be logged in to get the member rate. Not a member yet? Now is a great time to join WPHA and receive a discounted rate to the 2019 Conference! Make plans now to join WI Public Health Professionals at the 2019 Annual Public Health Conference! REGISTER TODAY! Book early as the hotel is projecting to sell out! Rooms are available at the Glacier Canyon Lodge at the special group rate of $99 (State Per Diem Rate). To guarantee this rate, and to ensure a room will be available, reservations must be made by April 19, 2019. To make a reservation, please call 800-867-WILD. When making your reservation, tell the reservation agent that you are booking a room under WI Public Health Association - reservation #649971.